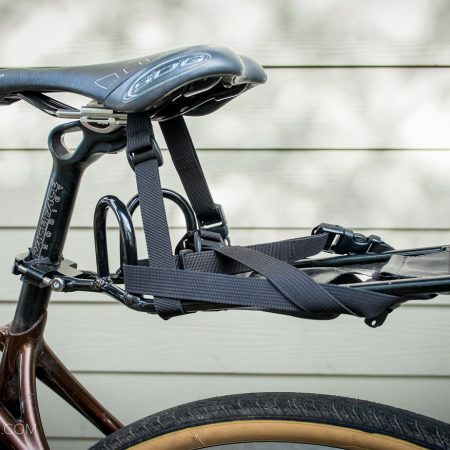 When it comes to carrying a lot of bikes, it’s tough to beat the simplicity of the classic tailgate pad. 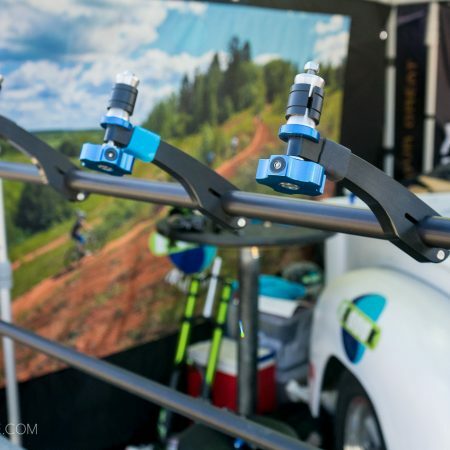 However, damage to bikes from rough roads is common, so vertical bike racks have risen in popularity as the solution. 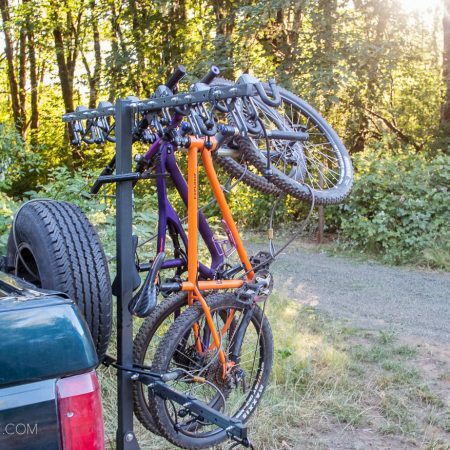 Most takes on the vertical rack have been local fabricators coming up with innovative solutions, so when a player like Yakima enters the fray, it’s cause for attention. 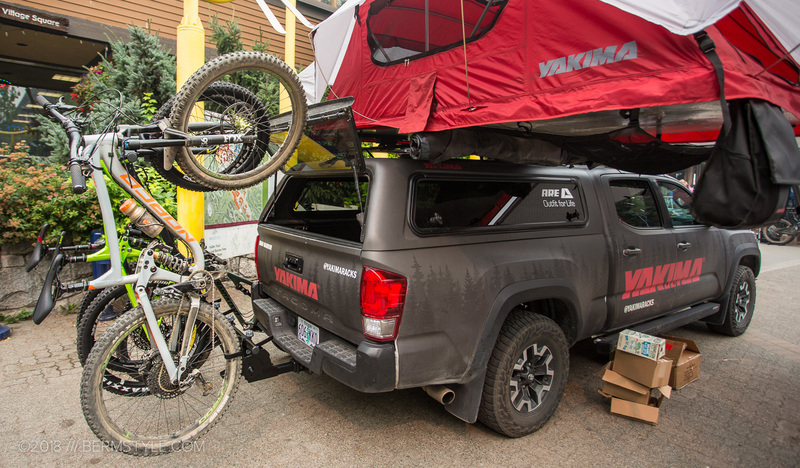 Though details are still forthcoming, the Yakima HangOver has been making the rounds at various events. 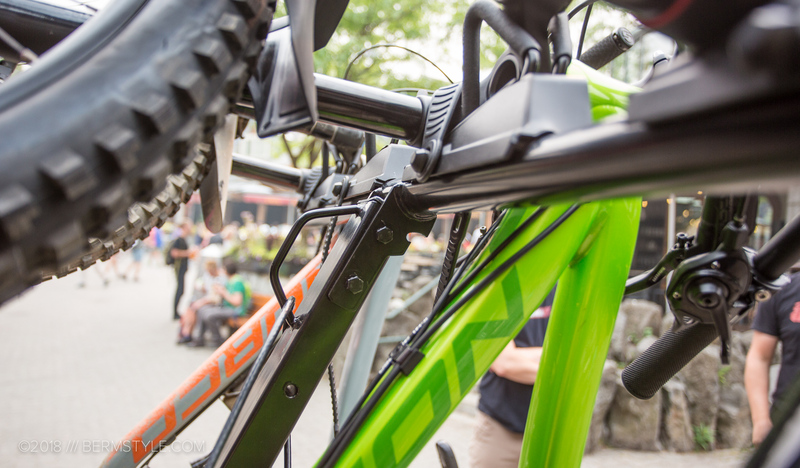 The model spotted at Crankworx in Whistler is a pre-production model. 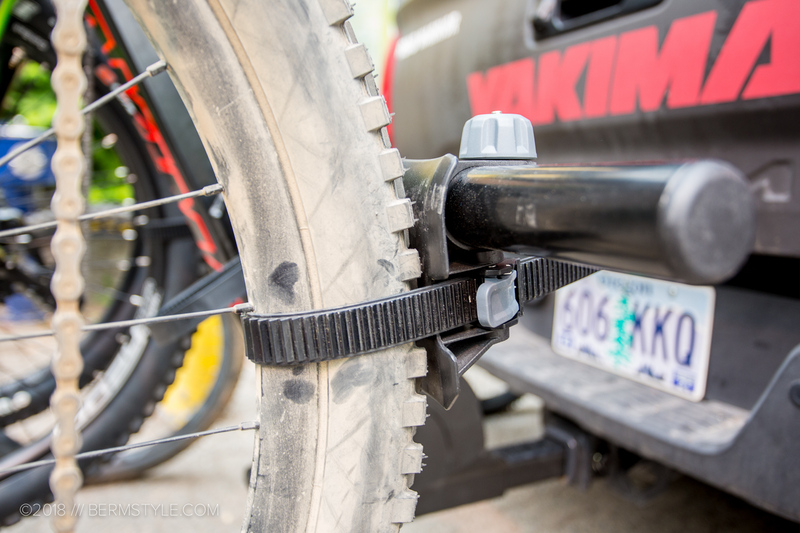 According to the Yakima reps it has performed well in their testing, passing tests for durability and usability. 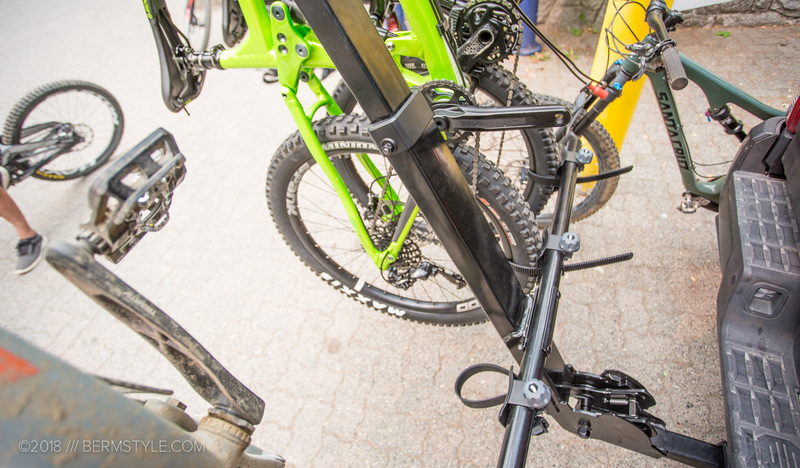 Bikes are suspended via the fork crown using a rubber covered prong, not dissimilar to how the Northshore Rack works. 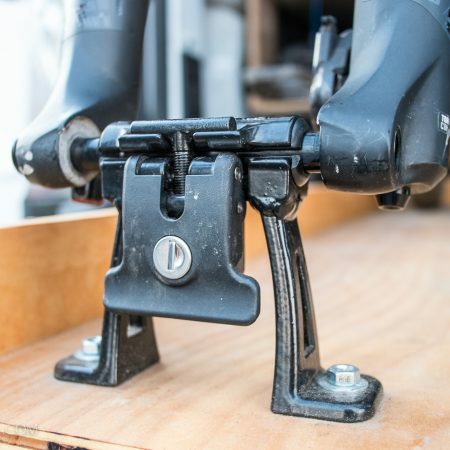 A rubber strap is used to secure the fork crown in place, with a ratchet strap securing the rear wheel. 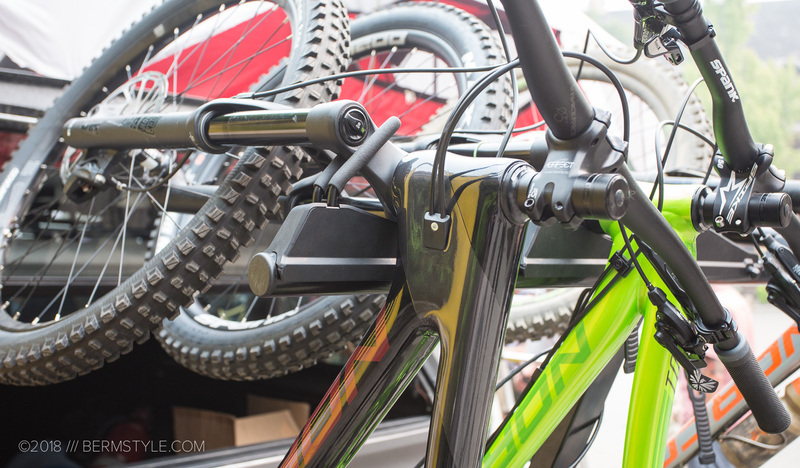 The rack has a metal loop you can pair with a cable with for a bit of security during those quick stops. 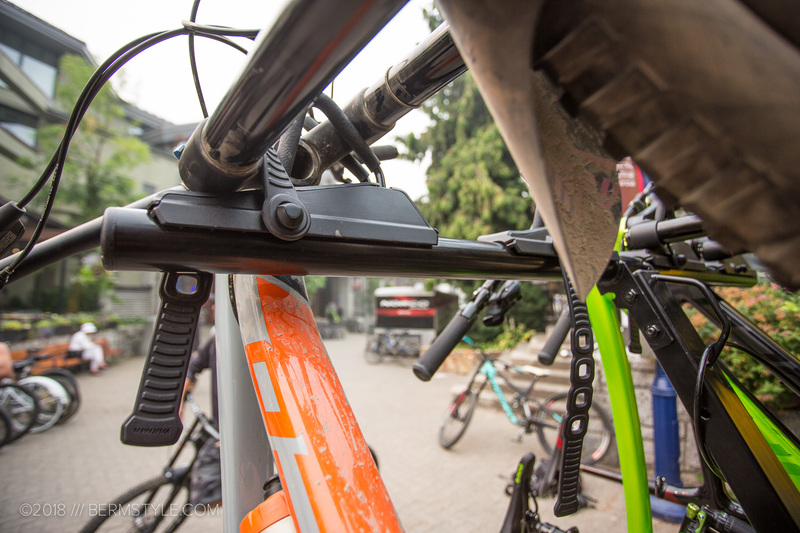 Bikes hang with the front wheel tilted at an angle to clear controls, which enables up to six bikes worth of carrying capacity. 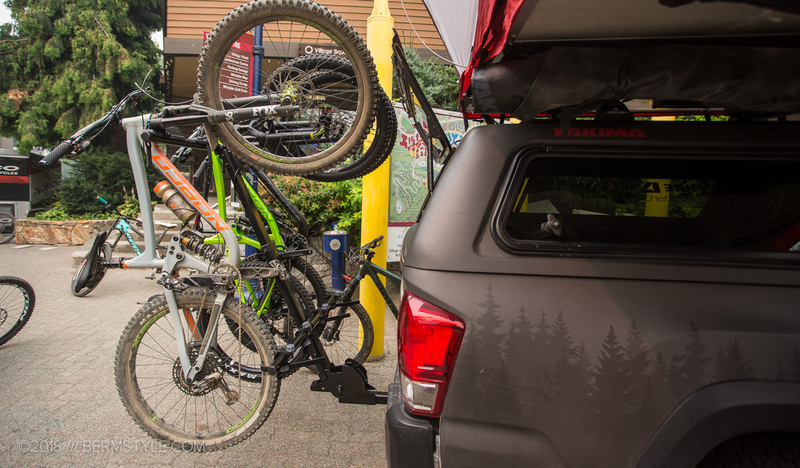 A tilt feature allows you to access the rear of the vehicle without having to remove the rack, provided the bikes are removed. The HangOver isn’t slated to be available until the 2019 season.